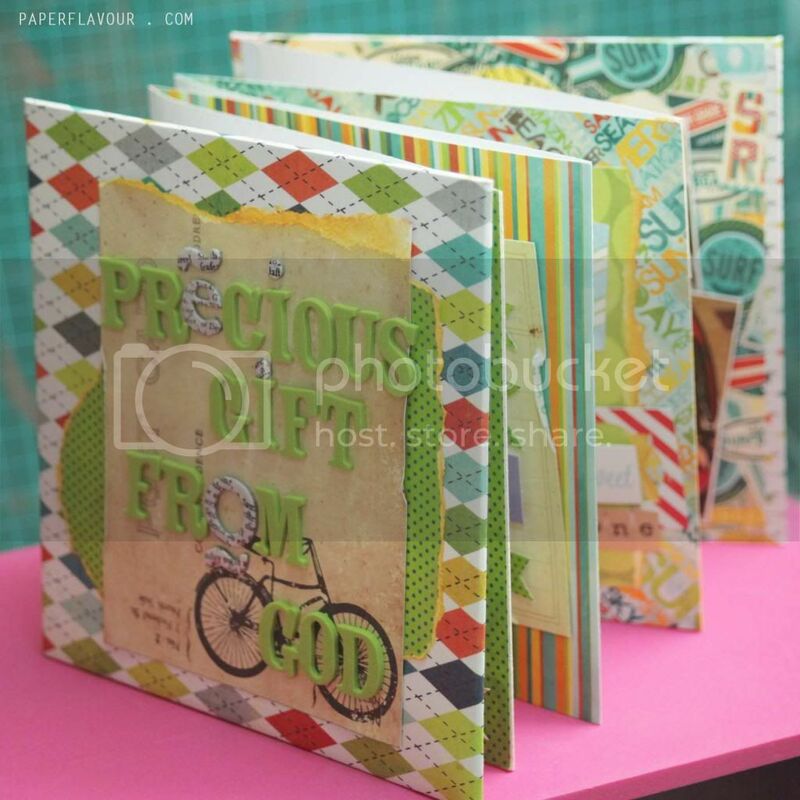 This a Accordion Scrapbook Album, with sized 15x15 cm, which I make for Jovita, she ordered Framed Scrapbook for her wedding on 2011. 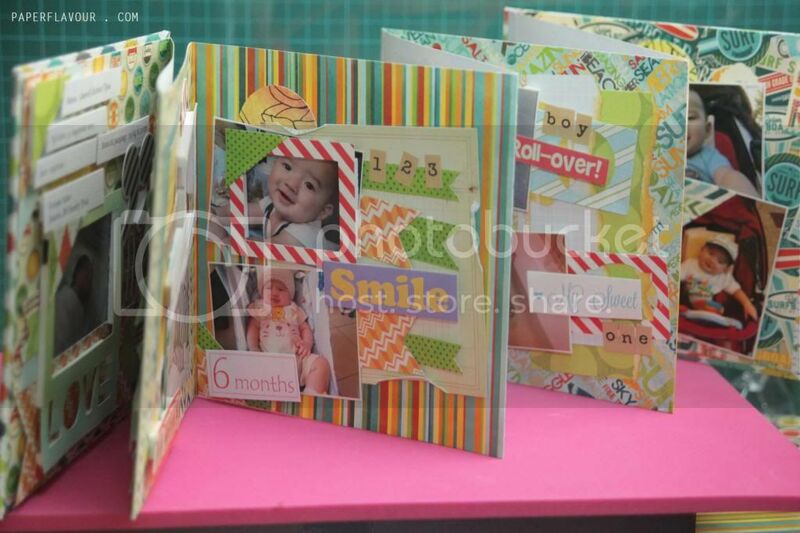 This scrapbook was made to be put on her lovely son birthday party, Darrell. 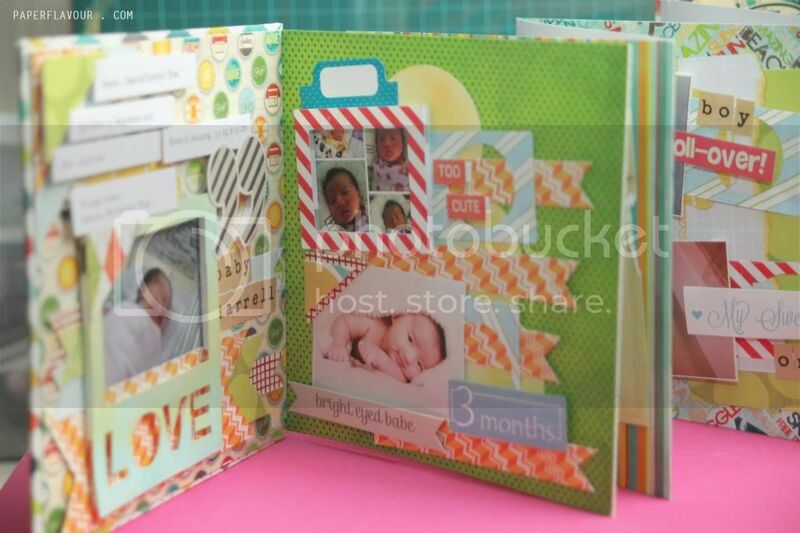 Each page in this album tell a story of Darrell, from he was born until he's turning 1 year. 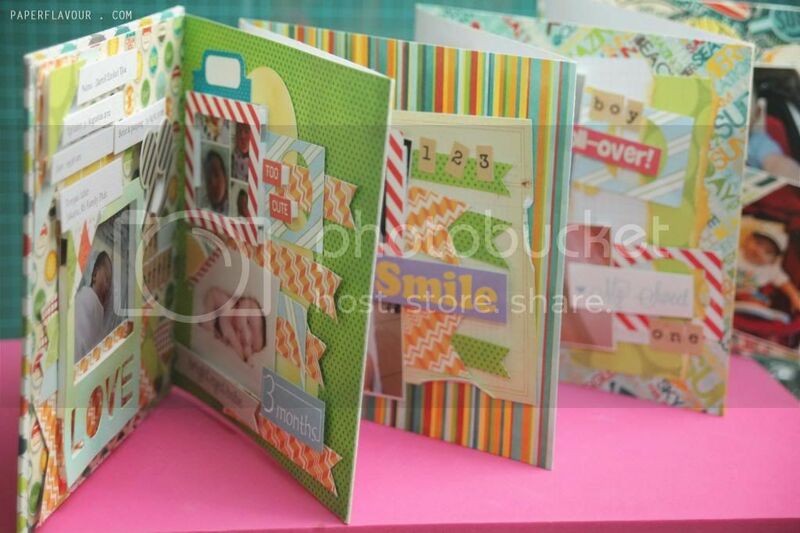 I using mostly Bo Bunny Collection in this project, with additional from DCWV, Simple Stories, AC, Oct Afternoon and MME.